Misa Kuranaga and Jeffrey Cirio in Swan Lake pdd, music Pyotr Tchaikovsky, choreography by Marius Petipa. Russian Ballet Icons Gala 2019 in the Coliseum Theatre, London, 31.3.2019. Misa Kuranaga (倉永美沙 Kuranaga Misa, born in Osaka Prefecture) is a Japanese ballerina at the Boston Ballet. Misa Kuranaga initially trained at the Jinushi Kaoru Ballet School in her native Japan and then received additional training at the School of American Ballet in New York City. Before joining Boston Ballet in 2003 she was a member of the San Francisco Ballet. In Boston she was promoted to soloist in 2005 and to principal dancer in 2009. Kuranaga started her competition career at the Chubu National Ballet Competition where she was the youngest participant to win the gold medal in the pre-junior division. When she was only ten years old she was invited by Bolshoi Ballet director Yuri Grigorovich to participate in the Moscow International Ballet Competition Gala. She received a scholarship award at the Prix de Lausanne competition in 2001 and also won a gold medal as a Junior in the Moscow IBC that same year. In 2006 she won the senior gold medal at the USA International Ballet Competition. Jeffrey Cirio was born in Pennsylvania, USA. He is trained in Central Pennsylvania Youth Ballet; Boston Ballet School; Orlando Ballet School. 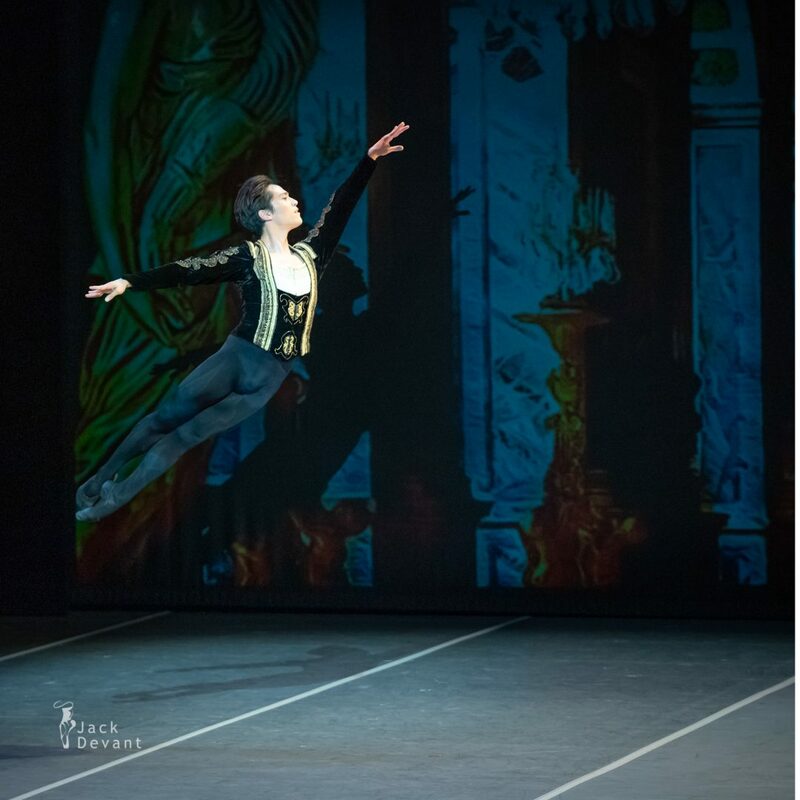 Jeffrey joined Boston Ballet (2009) promoted to Principal, 2012; joined ABT in 2015, promoted to Principal, 2016; Performed with English National Ballet in 2017 as Guest Artist, joined as Lead Principal in 2018.